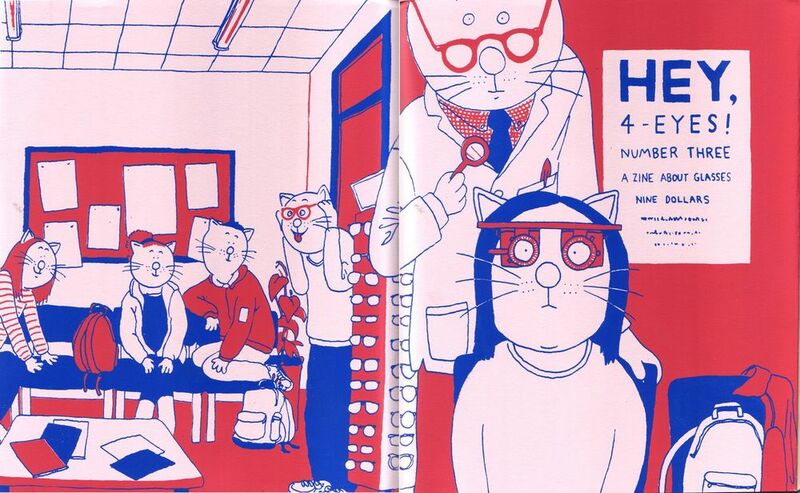 Screenprinted wraparound cover for Hey 4Eyes! Robyn Chapman's myopia and spectacles enthusiasts zine. Issue also feature my article on Colonel Blink of the Beezer.